The '90s sensation is back, updated with more style and comfort. 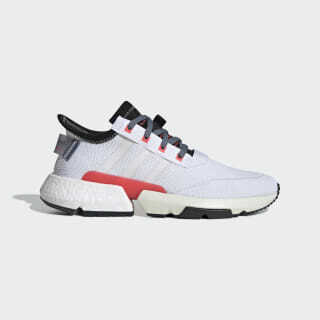 These shoes have transparent 3-Stripes on an embroidered knit upper and come with flashy reflective laces. The distinctive P.O.D. midsole shows off a semi-translucent TPU bridge, and Boost cushioning adds an elevated level of comfort.